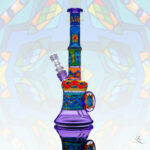 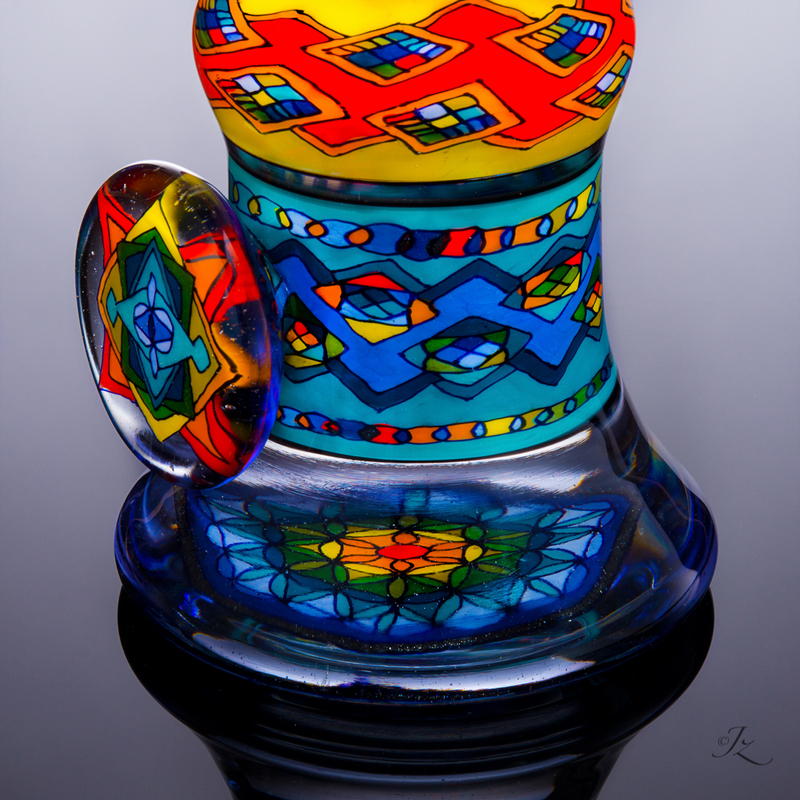 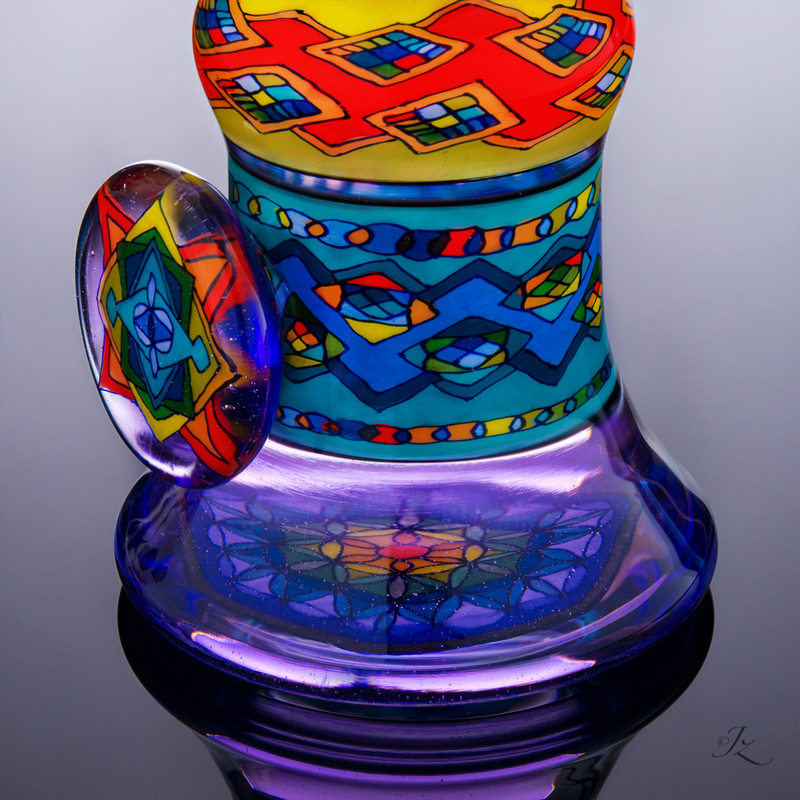 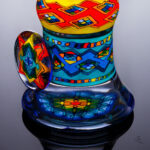 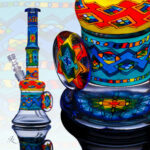 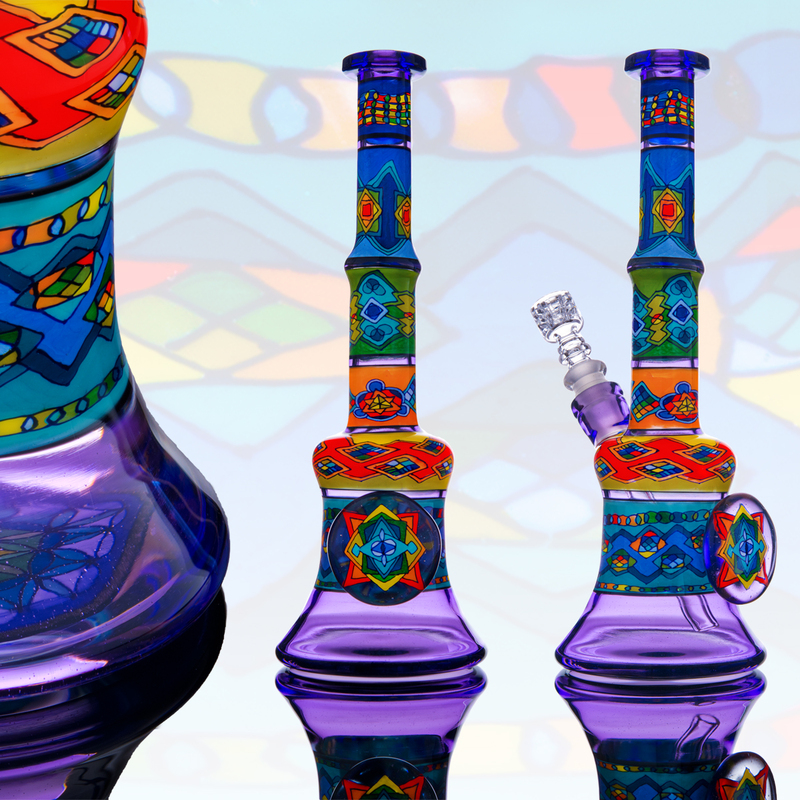 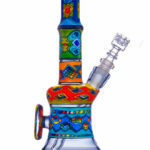 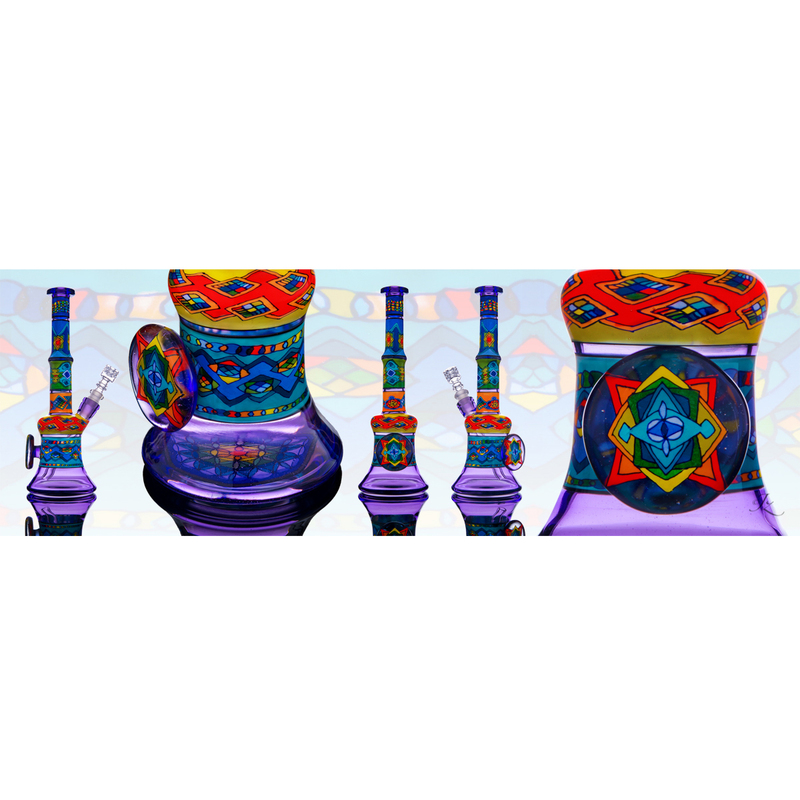 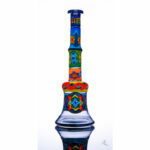 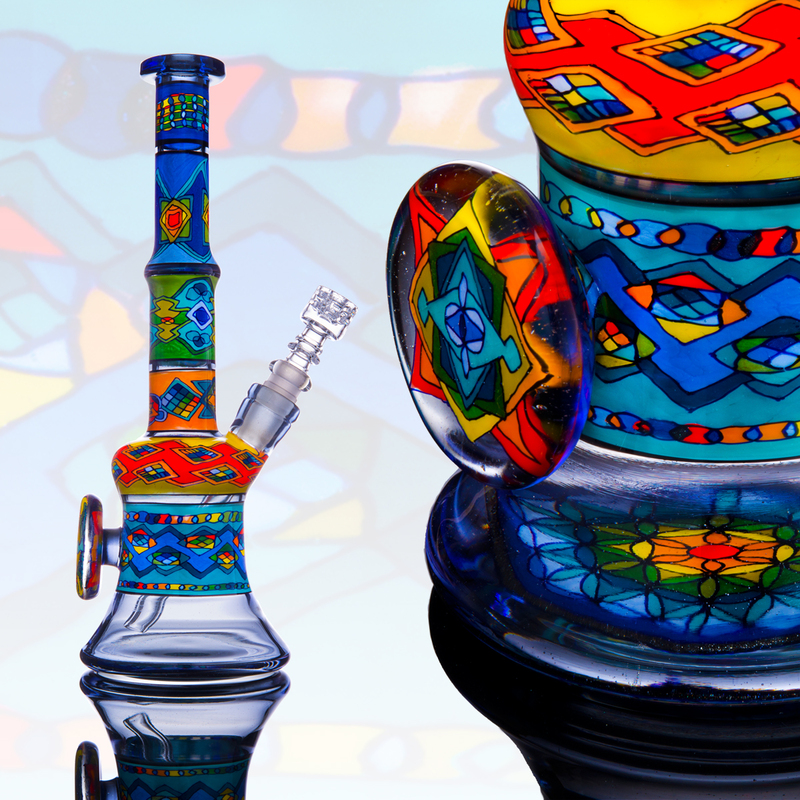 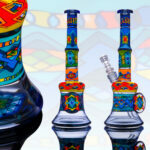 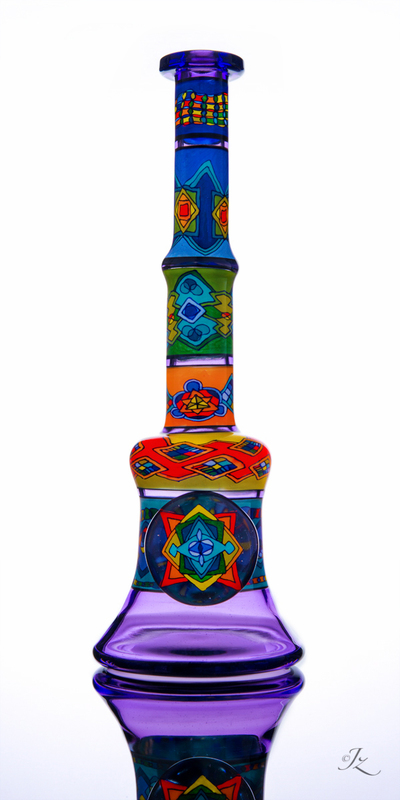 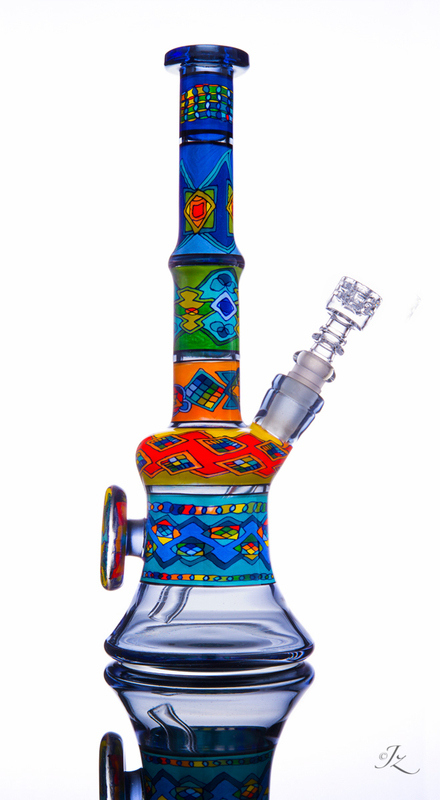 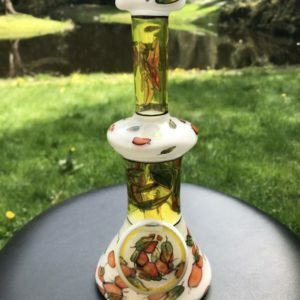 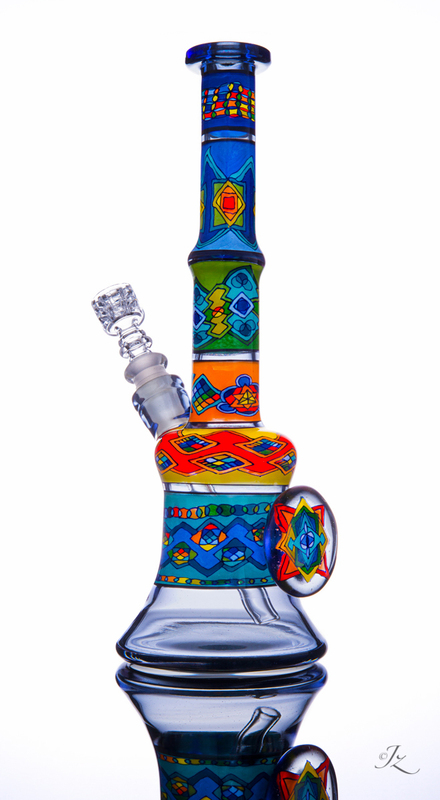 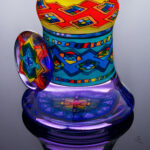 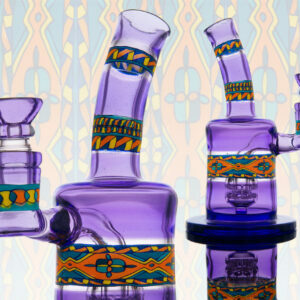 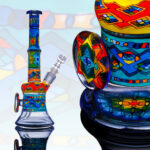 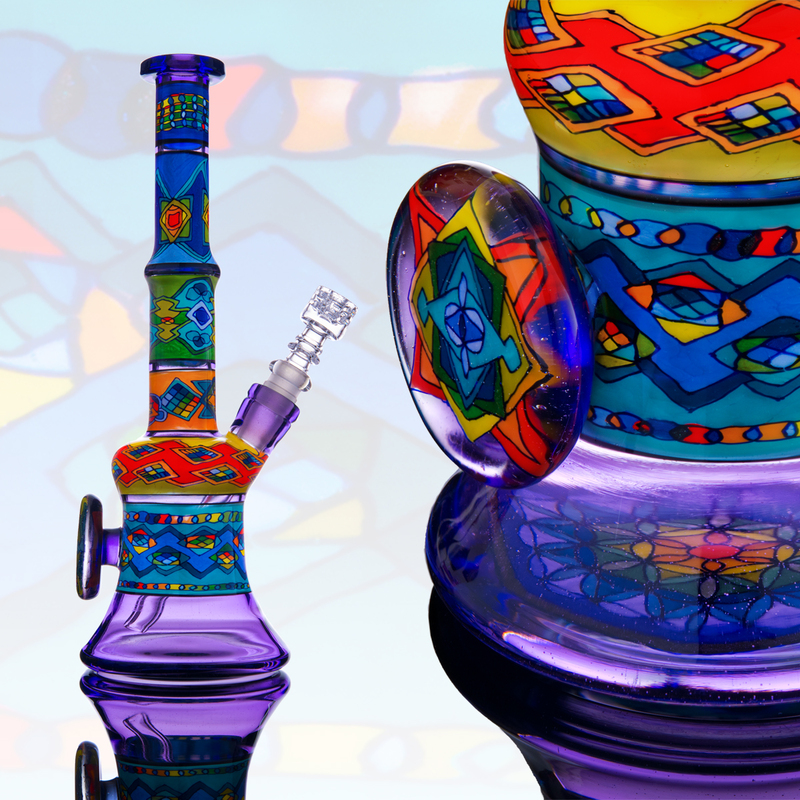 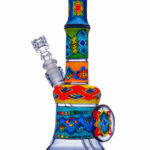 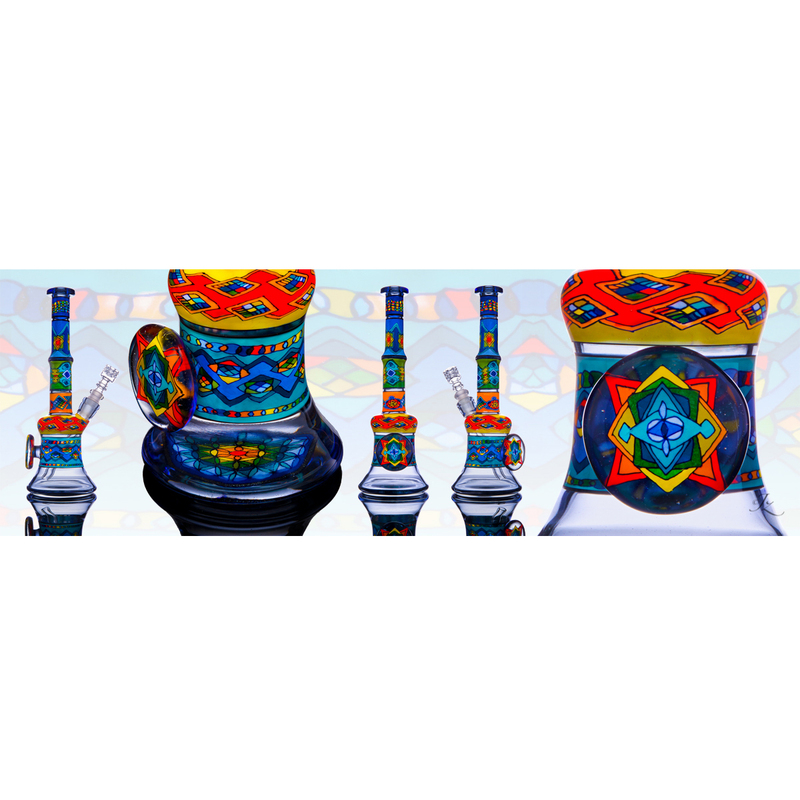 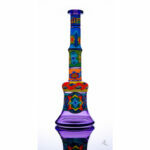 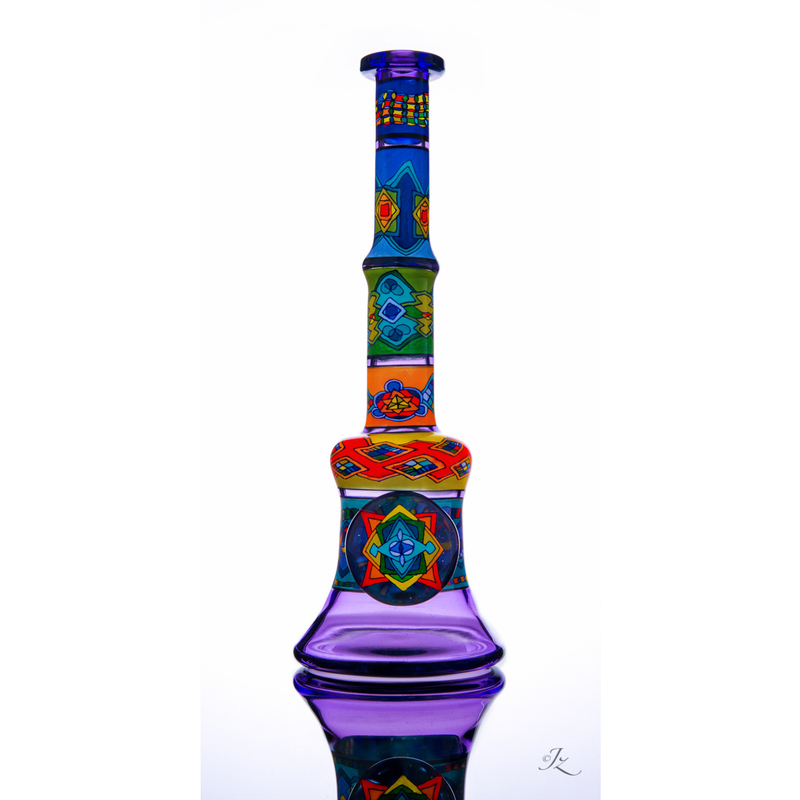 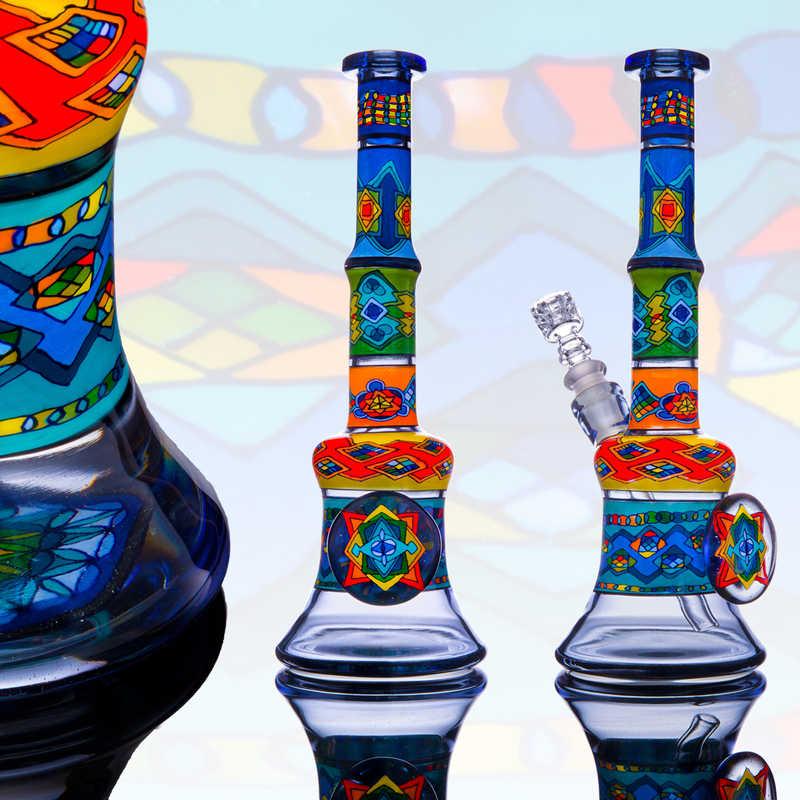 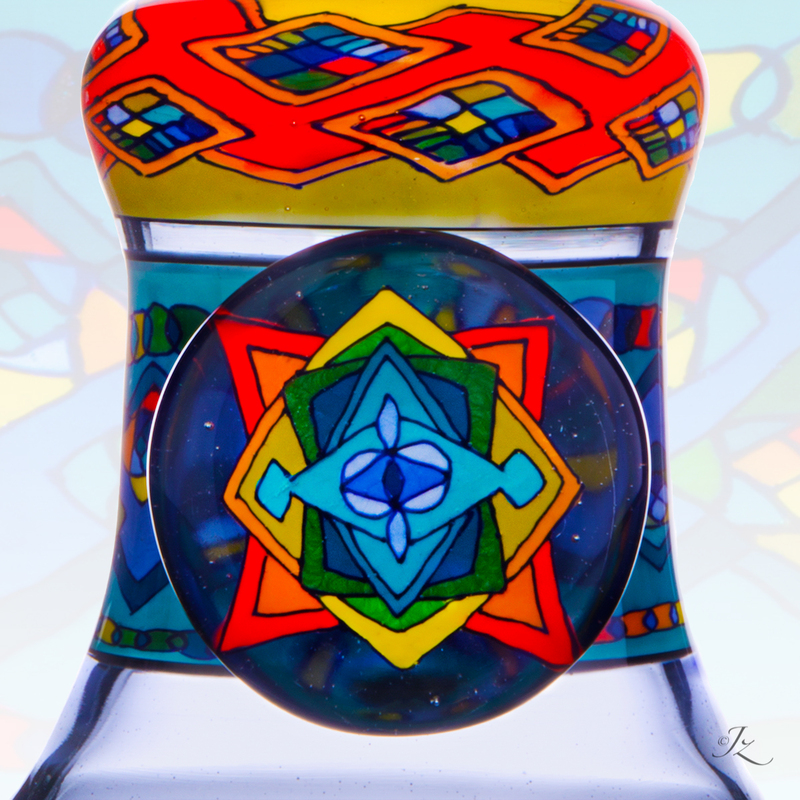 This is a one of a kind solo work by J-RED featuring multiple segments of original fillacello rainbow patterns all the way down the tube with a beautiful disk on the back and a color spectrum Flower of Life on the base. 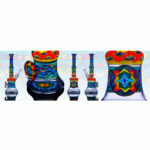 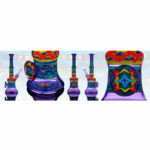 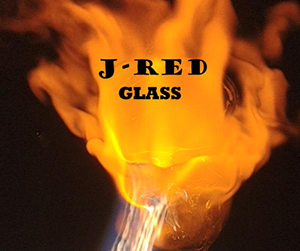 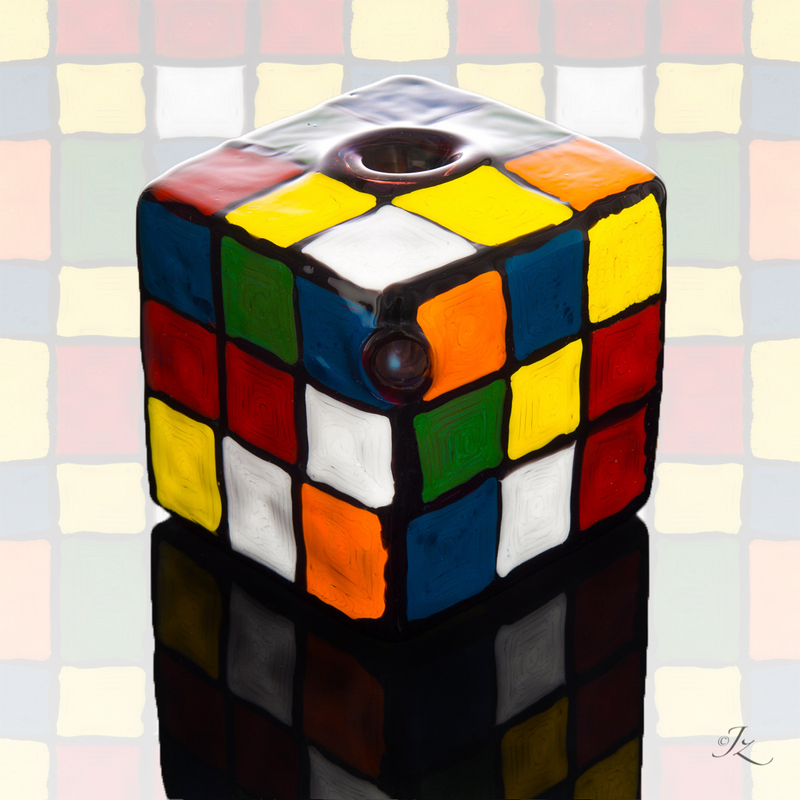 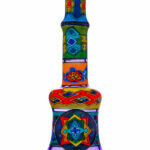 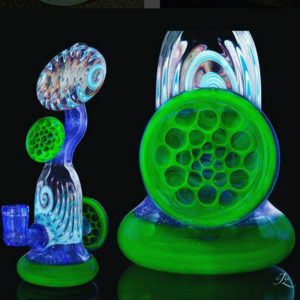 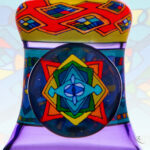 It is approximately 10 inches tall and is complimented color changing (CFL) coloring. 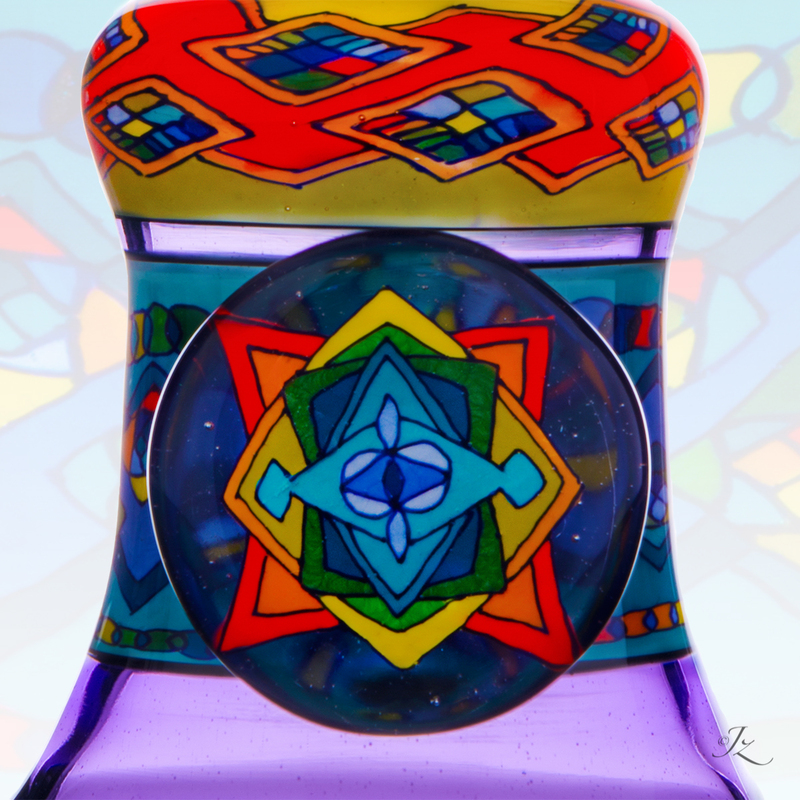 “Rainbows to Enlightenment” Do not miss this one!